You want to cook delicious, delectable and flavorful fish and meat – of course you do. But so many spice rubs out there offer few to no options for low-salt and no-salt diets. 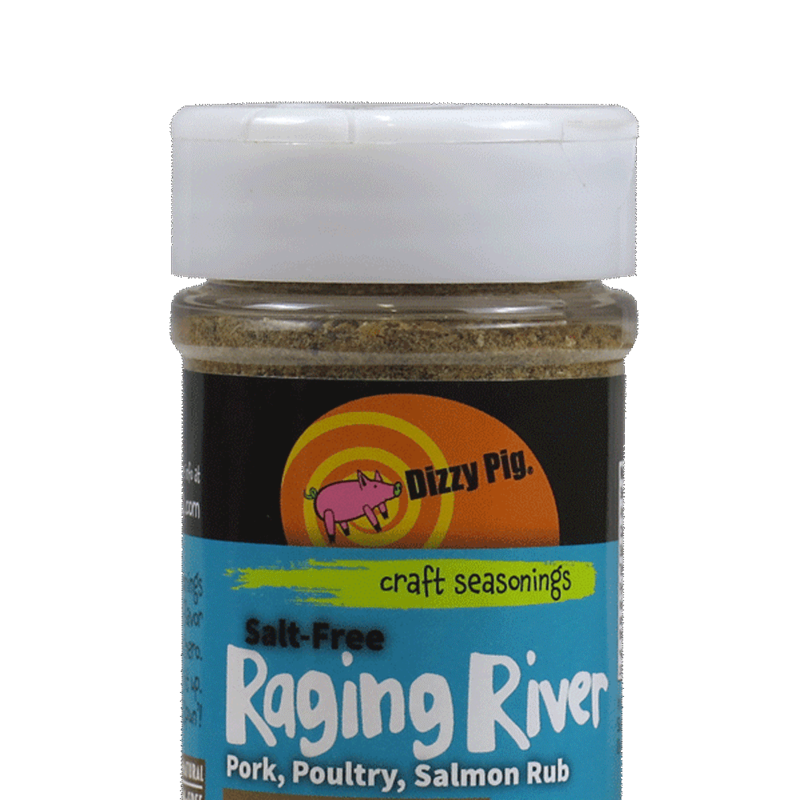 Well, we must care more than they do, because in addition to Salt-Free Dizzy Dust All Purpose Barbecue Seasoning, we’re now offering Salt-Free Raging River Poultry/Pork/Salmon Rub as well. This sweet and savory fan favorite brings the flavors of pure maple sugar, black peppercorns and mustard seeds, and an array of herbs to all your grilled, seared or broiled meats. Best of all, we do it without the salt, so you can flavor already sodium-rich choices such as brined salmon and brined pork, as well as a variety of cured foods, without worrying about salt overload. Whether you’re following a low-salt diet, are cooking for someone who is or just want control over salt levels, you got it. Salt-Free Raging River™, while designed for salmon, is really an all purpose rub that seems to have very few limits.